Time to Take the Garbage Out? Serving Dahlonega, Dawsonville, Cleveland, and Murrayville. 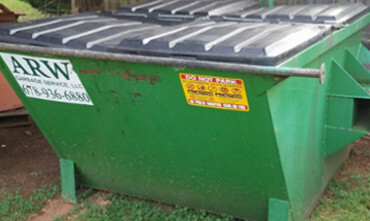 Business garbage collection in Lumpkin, Dawson, White, and North Hall counties. For larger collection, 2,4, & 6 yard containers are available. Schedule Your Garbage Collection Service Today! Are you letting the trash pile up? 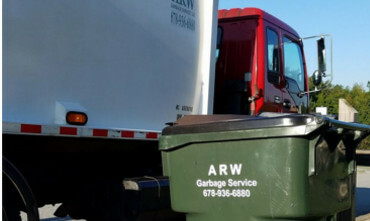 ARW Garbage Service will gladly take care of you. 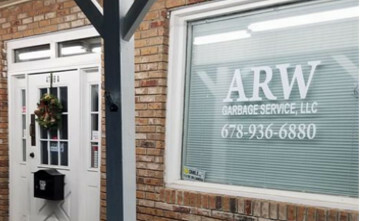 ARW has served our business for several years with great pricing and dependable service. They have taken wonderful care of our business garbage service. Awesome service. We switched to ARW years ago, and they are so much more reliable than the previous 3 companies we tried. They never miss a pickup, regardless of weather. Very professional. Nice company to deal with and a great value. Great, dependable service. ARW has served our home for several years and has done a great job. Very friendly, too! I have to say that I am so impressed with ARW Garbage Service. I called for new service several months ago and I received my can the same day and pick up was the next day. These guys were really on the ball and the price was great. This company is great. They are very thorough and organized. I highly recommend them. Family owned and operated! Won't find a better garbage service around! Highly recommend them! ARW is an excellent company. We just moved in our new house a few months ago and had tons of extra garbage outside of the can and ARW took it no questions asked. They also have great customer service and the response time is very fast. Would recommend them times 10.